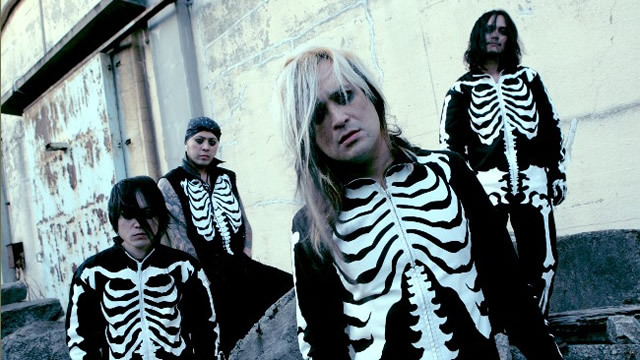 BALZAC are widely recognized as the Japanese counterpart to the legendary American horror-punk band,The Misfits. The two groups have even gone on to establish a close relationship over the years, which has greatly improved BALZAC’s international exposure. Horror movies and early punk rock music figure prominently into BALZAC’s sound and lyrics. The influence of zombie movies can also be seen in their “slasher” images, frequent use of skeleton costumes and general aesthetic.